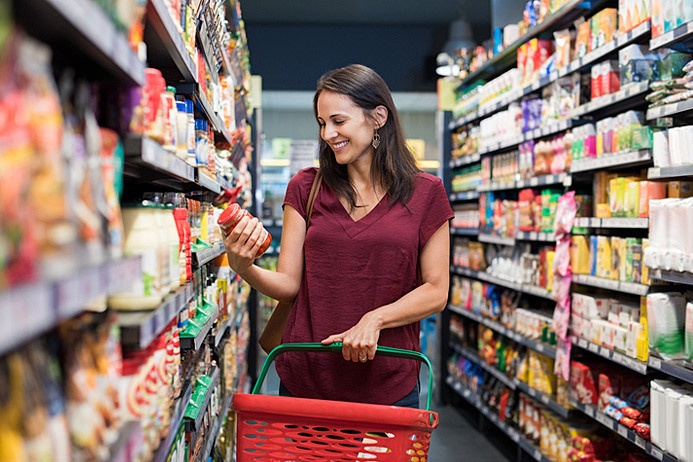 When shopping for food, all of the labels, colours, and shelf layouts can make it a bit tricky to find what you’re looking for and what is healthy for you and your family. An efficient way to make things easier when deciding is to take advantage of the labels posted on food. When you know how to read these effectively, you will be a more health-conscious shopper. Refer To The Serving Size – The information given on the nutrition label is all per the serving size stated, and not necessarily for the whole item or container. The serving size is generally located under the title of “Nutrition Facts,” and indicates how much of that item contains the amount of each nutritional item listed. You need to do some quick math to find out the information for the portion you will be consuming. For example, if you have 100g of almonds and the nutrition label says “Serving Size: 25g”, then you know that you would need to multiply each amount listed by 2 if you eat half the container, or four if you eat all of it. Always remember to check the serving size, as it may be significantly under the amount that the container actually has in it. Understand what %DV Means – This isn’t clearly defined anywhere on the product, but is based on the recommended amount of nutrients individuals should receive on a daily basis. The percentage of daily value indicates how much of each nutrient item you will get in a serving. While the numbers may be a bit difficult to understand without a full awareness of their meaning and impact on a healthy diet, a simple tip to remember is that 5% or less is a little, while 15% or more is a lot. Look Over The Ingredient List – This may be one of the best tips in general. When you aren’t sure what to buy or if it’s healthy, consult the ingredient list. They are always in descending order, so whatever the item contains the most of is placed first and so on. This is also a great way to determine if products marketed as healthy really are, or if they sneak added sugars and fillers high up on the ingredient list. 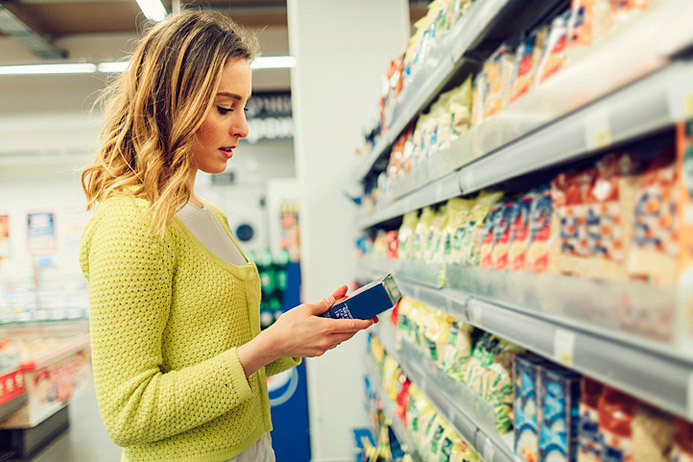 Knowing what to look out for on labels can make food shopping much easier and also healthier. If finding out more about how portioning, ingredients, and daily values impact our lifestyles and how we feel appeals to you, you may be interested in becoming a holistic nutritionist. The Edison Institute of Nutrition offers online courses to get you started on this new career journey. For more information about our programs such as our Introductory Program, Diploma in Holistic Nutrition and Continuing Education programs, call the Edison Institute of Nutrition today at 1-888-524-7605 or contact us to speak with one of our educational advisors.